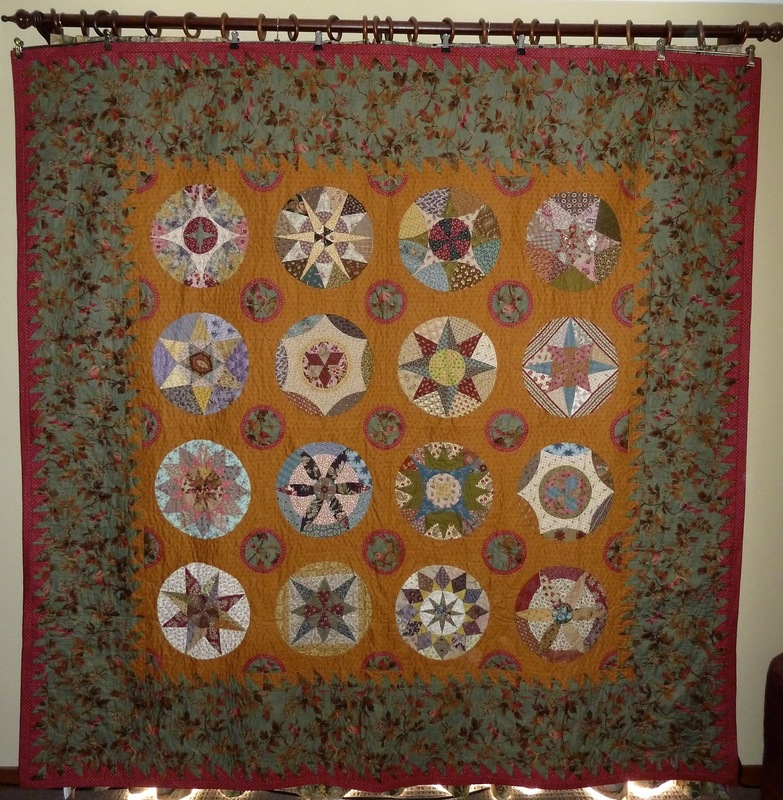 This is one of the yummy quilts that I have that were originally made in 1930. 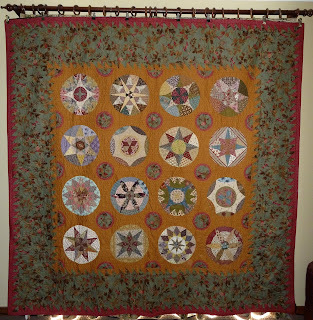 I unpicked this quilt, resized so all was square, and sewed it back together. Might quilt one day. Boy how time flies. For something to do, I decided to remake my quilt "George's Moment In Time" in these loverly textured fabrics from Japan. Some I bought when I was there in 2010 and others I have collected since. New George up top and old George down below.